Founder, Scott Bowie, has been creating custom virtual tours for hotels and resorts for over 19 years. He is also the co-founder of the Canadian VRCo-Op.ca, which consists of a network of VR programmers, photographers, videographers, sound engineers, and enthusiasts. 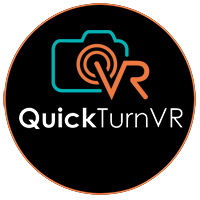 With extended resources in all these disciplines, QuickTurnVR is well equipped to bring your VR concept to life, regardless of whether it’s been done before or is an entirely new application. Contact us today for testimonials, a free consultation, or demo.